Following in the footsteps of the now-discontinued NES Classic Edition, Nintendo will continue to capitalize on the retro gaming market with the SNES Classic Edition. The new mini-console will feature 21 SNES games and will retail for $80 on September 29. It’s a great time to be a Nintendo fan. The Switch is tearing up sales charts, several of its latest titles have received widespread praise, and the company continues to rule the handheld gaming market. 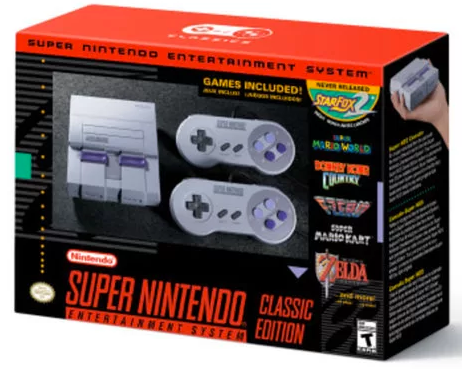 But the best may be yet to come for fans of the old school Nintendo: the SNES Classic Edition has been officially announced and will be available September 29th. The NES Classic Edition, a small plug-and-play console with 30 titles from the classic Nintendo Entertainment System, was a smash hit last year. The console was constantly in demand and sold out within minutes of stock coming available. After Nintendo abruptly cancelled the NES Classic Edition in April, questions were asked about a possible follow-up built around Nintendo’s 16-bit juggernaut, the Super Nintendo (or SNES). 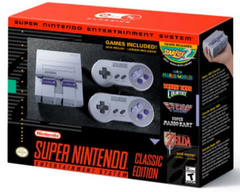 Nintendo has finally answered those questions by announcing that the SNES Classic Edition is coming in September. Like the NES Classic Edition before it, the SNES Classic Edition will have several preloaded games on it (21 to be exact). The console will also be able to upscale these titles to 720p so that they can be played on modern TVs without any of the nasty graphical artifacts or input lag that commonly plague retro gamers with newer displays. The unit will cost $80 upon release, which will get buyers the console, an HDMI cable, a micro USB power cable, AC adapter, and two (yes, TWO) wired SNES controllers. The preinstalled games are the best of the best for the system. In addition to fantastic games like The Legend of Zelda: A Link to the Past and Super Metroid, Nintendo has also included Star Fox 2, which was never released. Star Fox 2 was completed and fully coded but never saw the light of day as Nintendo shifted focus to the Nintendo 64, so this will be the first time people will get to experience an official release of the sci-fi space shooter. Now get out there and start waiting in line before it’s completely sold out!